OK, so I wasn't going to have another post for today but I saw this image lying on my desk and had a sudden idea of how to use it. All that time last month when I was without a computer, or rather between computers, I spent some time with my rubber stamps (the ones which have been languishing in the storage drawers) and got into stamping and coloring them since I couldn't access any of the digis stored on flash drives. I didn't necessarily know how or where I was going to use the colored images but doing them kept me sane when I had couldn't play online. polka dots and checks and went looking for a sketch to use. and I turned it sideways. Second post of the day and I'm still playing catch up due to the camera glitch. 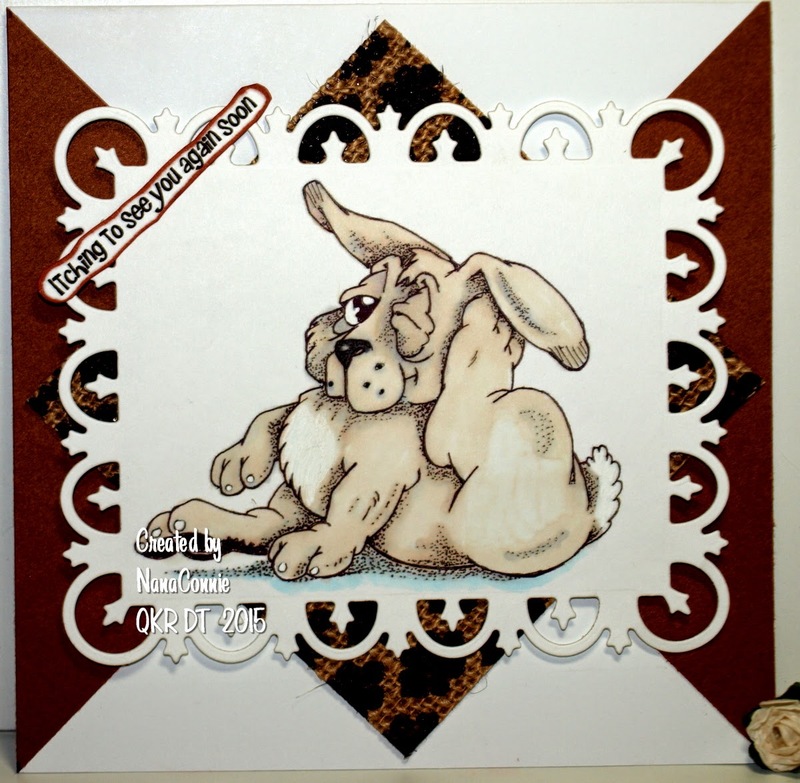 This card was done for the challenge which started last Friday at QKR Stampede. Our challenge this week is "Cards for Guys" so we want to see something with a masculine flair. 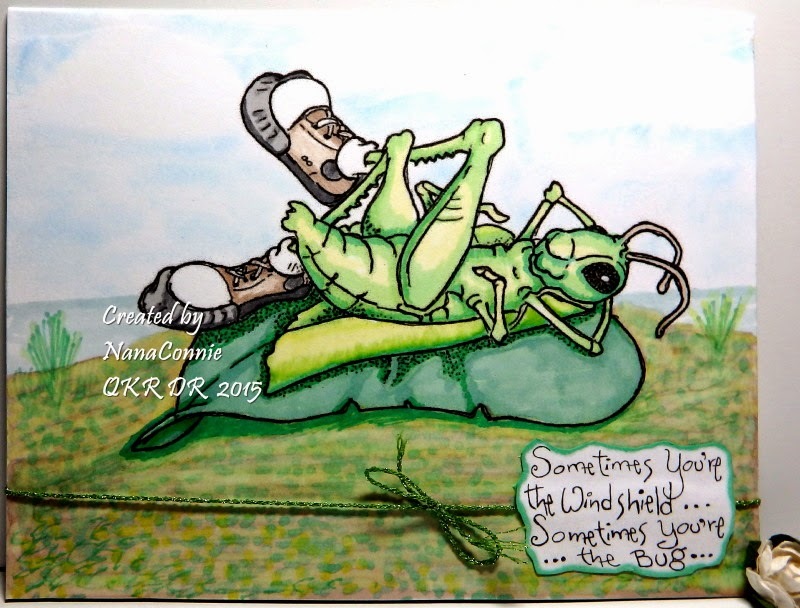 This silly grasshopper is an image from QKR Stampede (Digi 24173 "Lounging") and the sentiment is also from QKR (Digi 13506 "Sometimes...") I colored the image with ProMarkers and used chalks on the sky. I wrapped the twine around the card front before I added the hand cut sentiment. Very CAS and definitely a masculine card. I might even use it for a Father's Day Card. Can you believe that as much as I love humor and cute images, I've never used this one before? Happy Friday and enjoy the start to your weekend. We have a new challenge at QKR Stampede this week and our theme is "Spring Flowers." There are so many gorgeous flower images at QKR that it took me a while to choose this one to use (Digi 16220 "Bouquet") but the search was fun in itself. with the placement of the gemstones. I printed the image and sentiment onto a scrap of CS, then used my ProMarkers to color the image. I used a die set from QuicKutz to cut the image and the mat. I believe all the dp is from DCWV but again, those are mainly scraps from the stash so don't hold me to that. I know they came from 12" x 12" scrapbooking paper originally. I used this image which came from the Rick St. Dennis Progressive Challenge. but IRL it is that blue-green of a juniper bush. 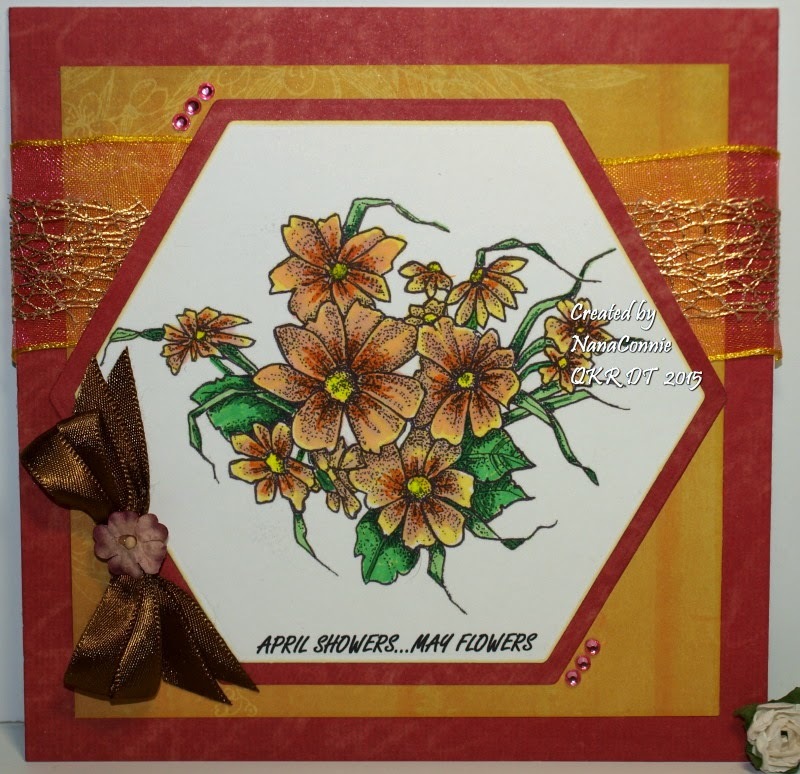 I used ProMarkers to color my image, then die cut it and the mat with dies from Spellbinders. I used one of my favorite embossing folders (SU) to emboss the pink CS. 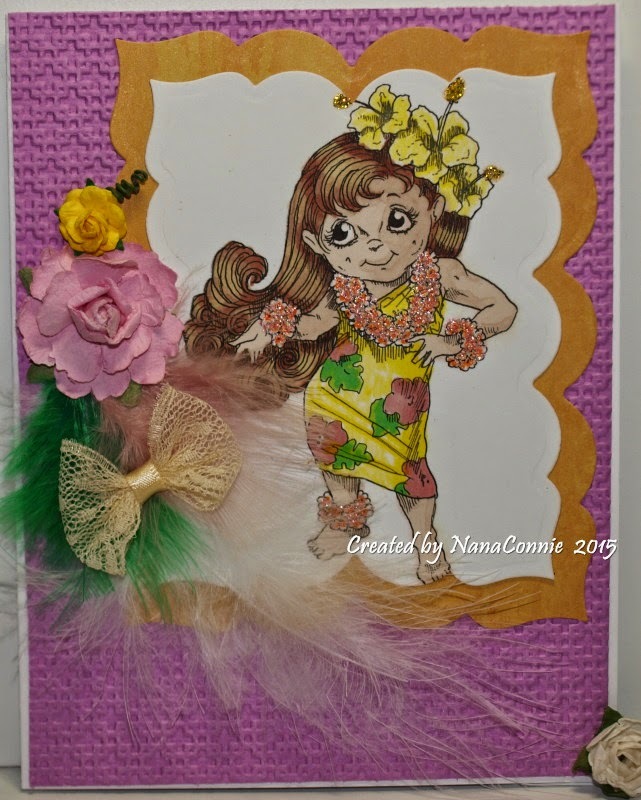 I added Flower Soft to her arm and neck leis, and glitter to the stamen of the flowers in her hair. I used lace ribbon to make the wrapped bow and found three perfect feathers in my stash. The rose embellies are from Recollections. 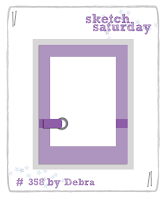 I chose to use the sketch from Creaine. I used ProMarkers and Copics to color the image, then die cut it with a die from Spellbinders. I found a old stack of burlap papers with prints on the pages (hidden in my stash for how long???) 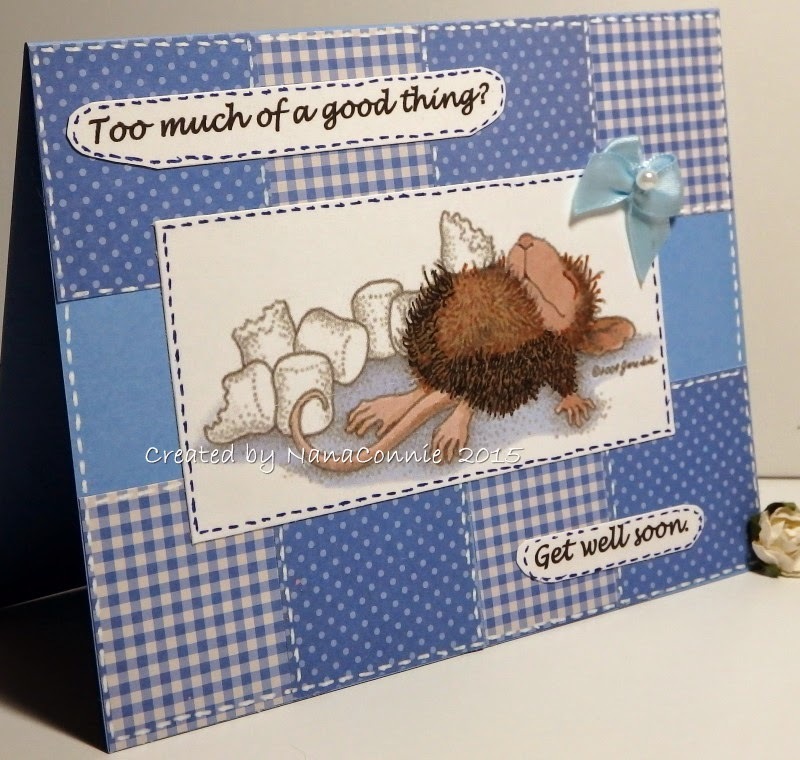 and decided that one of them would be perfect for adding some texture to this masculine card. The rest of the card is done with things from my stash, mainly kraft and white CS, although in the photo the kraft looks brown. I think it must be the lighting. The sentiment is mine, printed and hand cut, then inked on the edge. The image is mounted on dimensional dots. 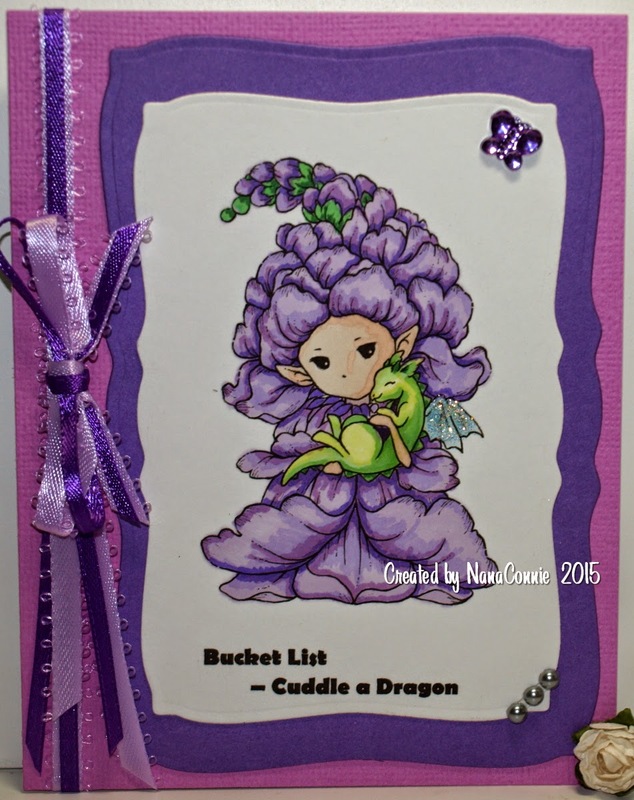 This image came from AuroraWings and I decided that it should be a "Bucket List" card. That's a card which celebrates things you can now scratch from your Bucket List. That sweet little Snapdragon Sprite is colored with ProMarkers and die cut with a Spellbinders die. I added glitter to his little wings for a bit of sparkle. 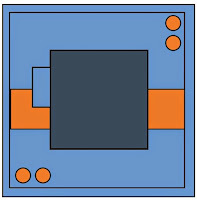 The mat is also cut with a larger die from the same set. Both ribbons were n my stash and I tied a double bow. I added the February gemstone butterfly (amethyst) and three small pearls for embellishment. It's the first Friday in April and I simply can't believe how fast 2015 is moving along! Friday means a new challenge at QKR Stampede and this week our theme is "April Showers." The possibilities with that theme are endless. I decided to see if I could find an image that was seemingly unrelated (meaning no baby ducks, umbrellas, or cloudy skies) and then work the theme into it. What do you think? I used an image (Digi 7102 "One Man's Trash") and an inside sentiment (Digi 16411) which are both from QKR Stampede. 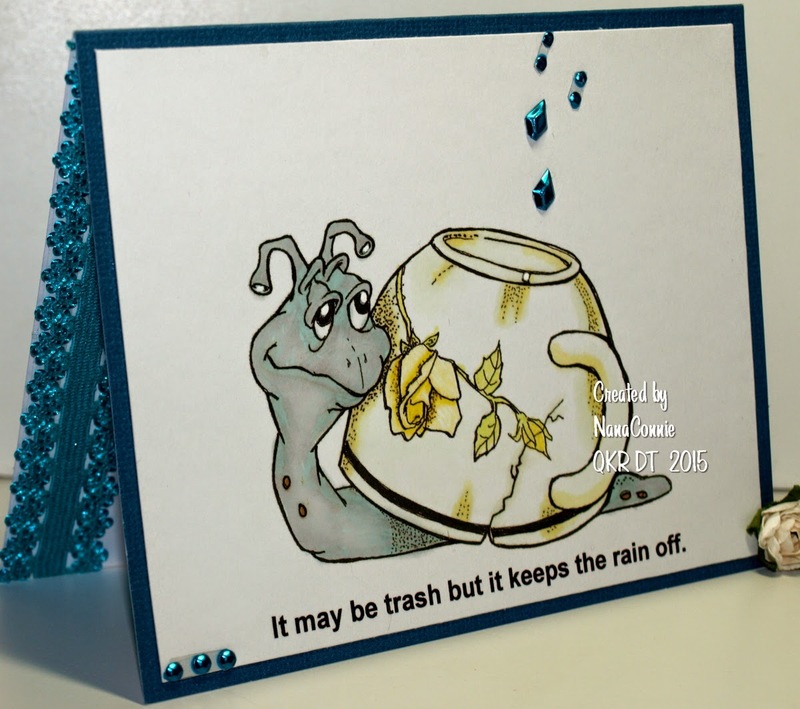 The snail image is colored with ProMarkers and mounted onto a sea blue card front. That front sentiment is mine. I used blue gems to make the raindrops. 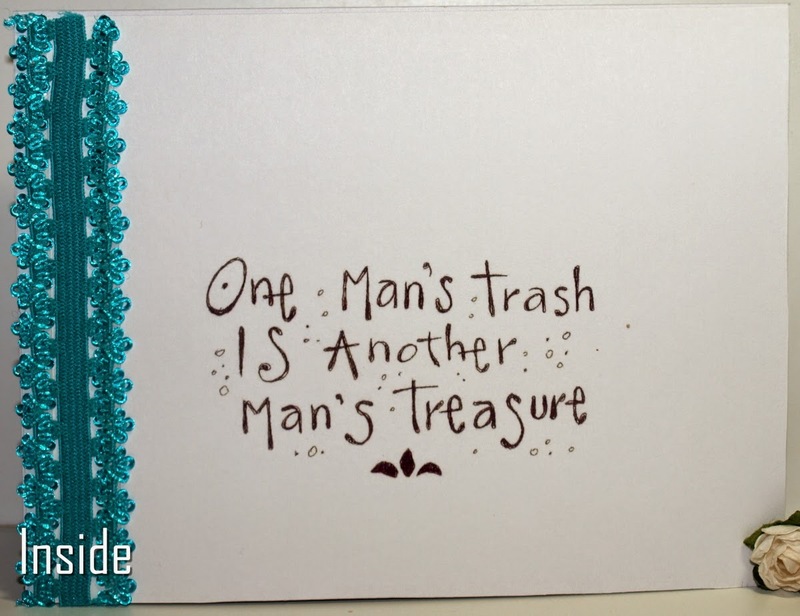 I printed the QKR sentiment onto paper and added some aqua lace before adhering it to the inside of the card. A simple card with a delightfully CAS design.